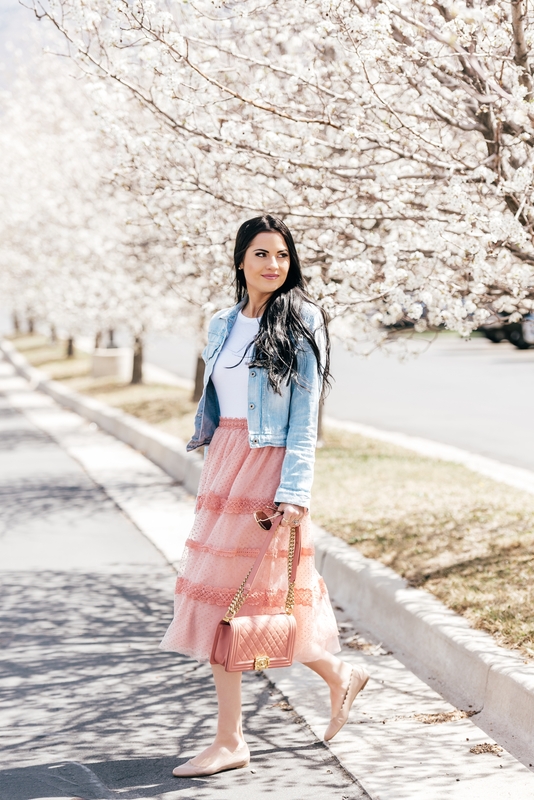 This is possibly my favorite skirt of the season!! It looks incredible dressed up with heels and a blouse, but surprisingly looks so effortless when paired with ballet flats and a casual tee. 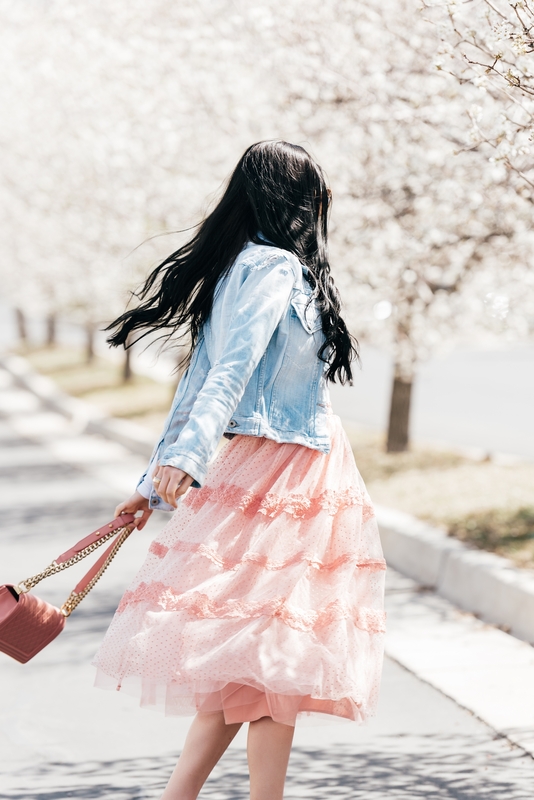 I love that you can dress it up or down, even though it’s a tulle skirt with lace trims!! I wore this look while I was in upstate New York a few weeks ago with my mom, and then again last week. It’s such a versatile and beautiful skirt that makes an understated statement!! Thanks for stopping by, I hope you all have a wonderful start to your week!! 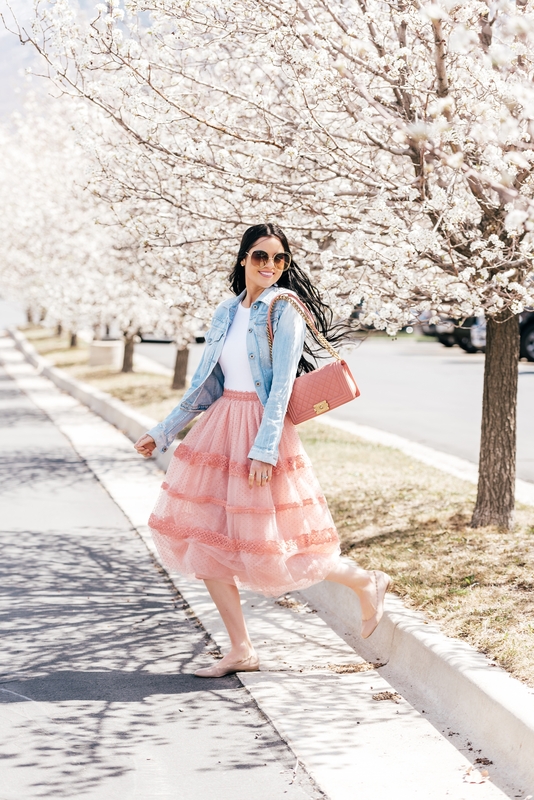 Such a cute spring look, love that bag. Pretty in pink indeed! ???? I love this skirt it’s so different from just a plain ballerina skirt! This skirt is seriously SO GORGEOUS! Love how you styled it! This skirt is so beautiful!! So feminine and romantic! Love the color and the beautiful fabric! Been seeing so much pink lately! Love this look on you! I think the denim jacket really makes it! I love the skirt! It’s so pretty and looks great dressed down with a denim jacket. 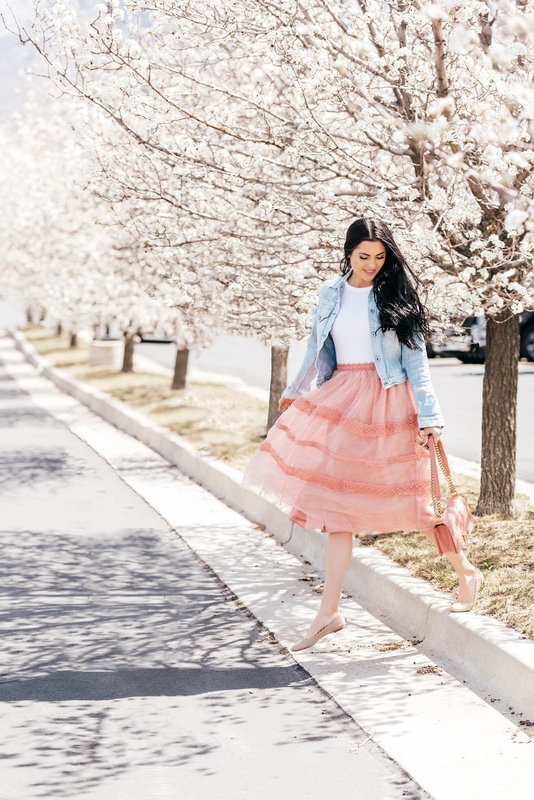 Looking so cute, girly and spring time perfect in this outfit! your skirt is gorgeous, i need one of those! This is such a GORGEOUS outfit! 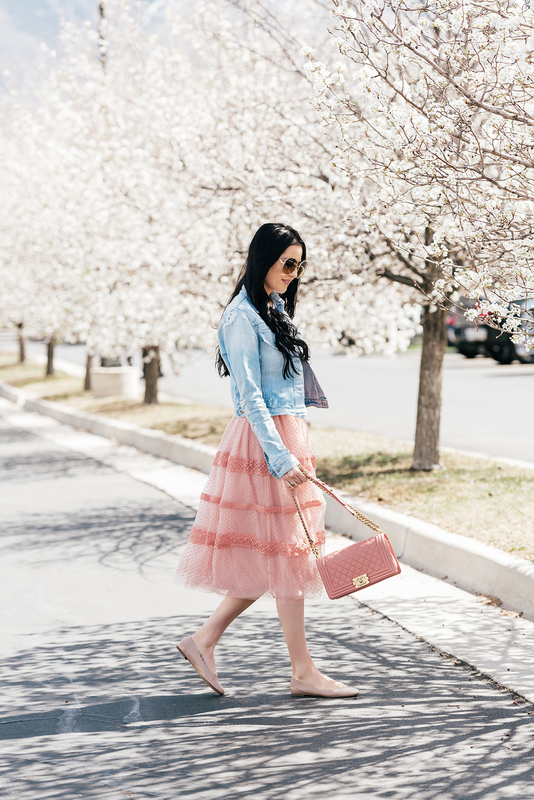 I love the pink tulle with the denim jacket. I think I need to wear something like this for a casual party coming up. This is a gorgeous look! From the skirt to the handbag!?? love that pink skirt. you look like a modern princess!!! love this look!